Score Basketball provide lessons, clinics and Oklahoma City basketball camps for players who are looking to improve their skill and become well-rounded basketball players. If you need more information please visit us on our homepage or simply give us a call today to find out what you need to get started. Coach Calvert was personally mentored by Coach IBA and his methods were inspired by his mentor. These methods not only include how to achieve ultimate success as a basketball player but we also include how to win in the game of life. Basketball is so much like the game of life as it requires communication with other people and working together to achieve something bigger than yourself. You can learn communication, dedication and hard work, you can achieve anything that you put your mind to. Here at Score Basketball we teach the skills and how apply them on the court and off the court. Here at Score Basketball we teach you not only to play with your head but to play with your heart. We deal with issues of the heart. Of maintaining a good attitude even when it’s tough. Of pushing through even when you’re tired. Of working hard even when you think you can’t go on. These are the things that make a great basketball player and make a basketball player go all the way to the top. Our methods have been endorsed by Hall of Fame coaches, NBA scouts and even NBA players including Shea Seals of the LA Lakers. This is the place for you to learn what you need to learn to grow as a person and to grow as a basketball player. It’s great when you can shoot. It’s great when you can dribble. It’s great when you have communication between yourself and your teammates as well as your coach. The physical aspects of the game are some of the most important because you cannot play without them. We also address the mental aspects of the game. The ability to handle stress when a game is not going well. The ability to handle stress we don’t think you can go on. The ability to handle stress that you can figure anything out and think on your feet when you’re playing at the championship game. Here we focus on both the mental and physical aspects which will also be addressed you attend one of our Oklahoma City basketball camps. Get started with the best by giving us a call today. Here at Score Basketball we provide mental, physical and hard-working dedication to get players where they need to go. If you want to grow this is the place for you. If you’re just looking just to throw around a basketball we don’t need you. We need players who are hard-working and are ready to push themselves to the limit almost to the point of breaking down. Because once you break down you can be rebuilt and reborn through the beautiful game that you have loved since you were a child. a Oklahoma City Basketball Camp That Is a Slamdunk. It doesn’t matter if you want to take your abilities to college basketball or the NBA, or just want to get a little better at basketball our Oklahoma City Basketball Camp is the right place for you. With over 20 years of experience and numerous clients going into the NBA, including Shea Seals former LA Laker, this program has something for everybody. Our goal is that everybody that comes into our camp comes out better, both as a player and a person. Give us a call today at 918 – 955 – 7160 so we can start planning your success. Score Basketball was founded by the great Coach Don Calvert who has had the privilege of learning under legendary Coach IBA who taught him the true meaning of coaching. At our Oklahoma City Basketball Camp, our coaches take the time to truly get to know you as a person and a player so we can focus on bettering you in both areas. Basketball is so much more than a game, it’s a way of life and for some it’s a livelihood, but we want to teach you how to better yourself as a person is well. We really like to focus on mental aspect of the game as well as the technical areas as well. Our curriculum has shown such excellence that it has been featured on several different news stories seen on places such as ABC, NBC, and CBS just to name a few. Our goal is to sit down with you individually help maximize your strengths and eliminate your weaknesses. When you leave our camp you will truly be a different person, a better person. We will prepare you for the tough strain both mentally and physically of being a basketball player and turn you into the most well-rounded and best person you can be. Not only do we offer basketball camp’s, and lessons, but we also provide ways for players to earn scholarships to get into colleges. 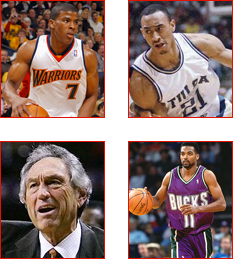 We have had many of our players go into college basketball and eventually the NBA. We know that basketball is tough but we can prepare you for anything that is thrown at you. Each one of our coaches has a lot of experience dealing with life on and off the court who will meet with each person and take time to meet individual needs. Some of the colleges are players have gone on to play with for include, Missouri state, OSU, Kentucky, Arizona and over 100 others. We provide all of the tools you need to succeed as a player. It doesn’t matter if you’re just starting out or are an already developed player we truly have something for everyone to better themselves. One of our mottos here at Score Basketball is to Get Better Now and we can’t wait to show you how. The very best of Oklahoma City basketball camps. For over 20 years Score Basketball has helped young raw talent develop into something great under the influence of Coach Don Calvert. This Oklahoma City basketball camp is good for anyone looking to better themselves not just in basketball but as a person as well. Everyone from legendary Coach Eddie Sutton, to your regular avid basketball fan can tell you how much Score Basketball has helped develop the skills to succeed not just on the basketball court but also in life. We would love to show you how much we can help you further your talents, just give us a call at 918 – 955 – 7160. We have had many players that we have trained continue their careers in the NBA and College basketball, including players that were at OSU, Arizona, Missouri State, Kentucky and many many more. All of the players that come to our basketball camp learn more than just skills on the court, we focus on both the strengths and weaknesses of each player allowing them to only get stronger and better themselves as a person and a player. We take pride in the fact that we help mold better people not just better basketball players who are able to handle anything that is thrown at them both on and off the court. Our coaches spend one-on-one time with each player really getting to know them and how they can help them in the best way possible. All of the coaches truly have a desire to help young people get the most out of themselves. Unlike many other places that just focus on the basics and the techniques of basketball we focus on both the mental and physical aspect of the game. Each person that comes out of our camp has grown exponentially in more ways than just basketball. We truly have something for everybody whether it’s a basketball camp or private lesson, we give you all of the tools needed to be successful and truly better yourself. Even legendary coach and Hall of Famer Coach Eddie Sutton has recognized the greatness that is Score Basketball. Our goal is to truly help each individual overcome any and all weaknesses that they may have. With all of the great coaching staff, programs, and drive for excellence that we offer is impossible to come and not get something great out of this Oklahoma City Basketball Camp. We truly have something for everybody and cannot wait to work with you to better yourself. If you would like more information you can go to our website www.scoretheball.com or just give us a call at 918 – 955 – 7160. We cannot wait to help you improve your life in several different ways.